If you haven't learned how to make your own nachos, this is your moment. Ellis Barrie shows you how easy it is to make the perfect snack for hungry mates. Preheat the oven to 200C/180C Fan/Gas 6. Heat the oil in a frying pan over a medium heat, add the onion and cook for 3–5 minutes until soft and translucent. Increase the heat and add the beef, paprika, cumin and chilli powder. 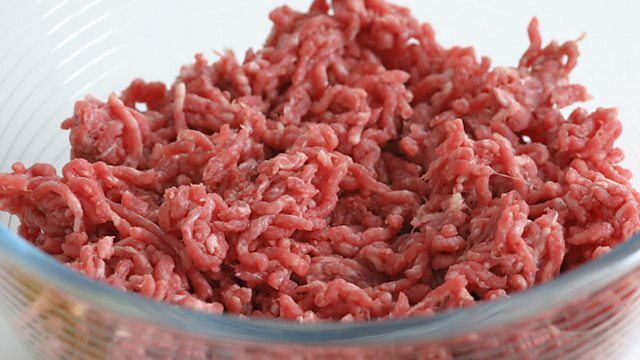 Cook for 5-10 minutes, stirring occasionally, until the beef is browned. Reduce the heat to medium and add the black beans, stirring gently, until the beans are heated through. Season with salt and pepper. 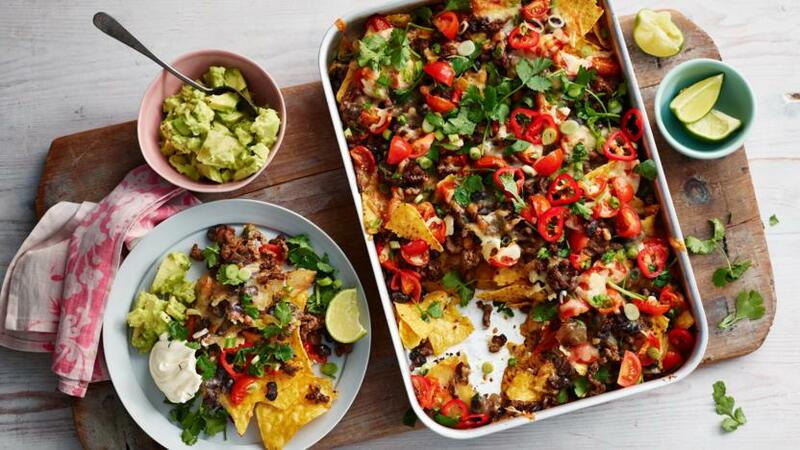 Line the base of a 1.5 litre/2¾ pint ovenproof dish or baking tray with a single layer of tortilla chips, then top with half of the beef mixture, then half the cheddar and half the cherry tomatoes. Add a second layer of tortilla chips, then top with the remaining beef and cheese. Transfer to the oven and cook for 8–10 mins, until the cheese has melted. Remove the nachos from the oven and top with the remaining cherry tomatoes, spring onions, coriander and chilli, if using. Serve hot with the soured cream and lime wedges.